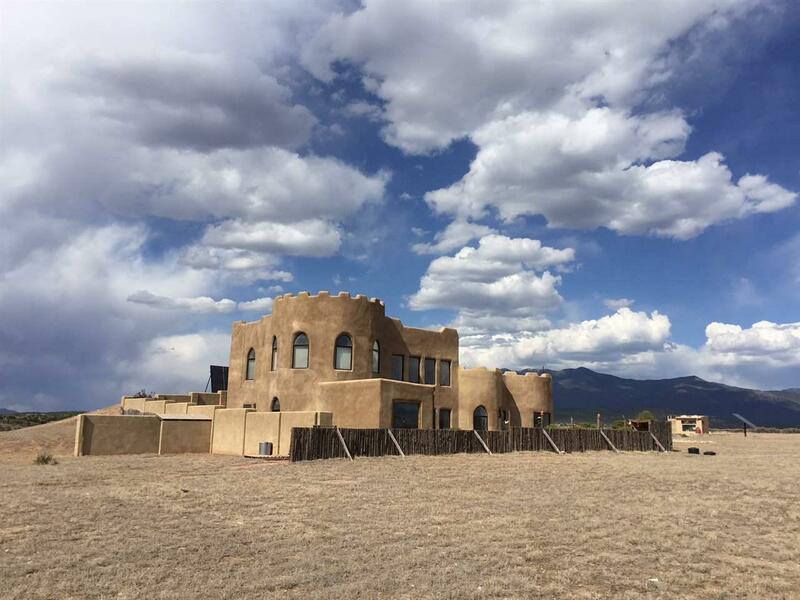 Magnificent views on 6.6 acres, only 20 minutes from historical Taos Plaza and world famous Taos Pueblo is the Solar Castle. A 360 degree view of the Taos valley ringed with mountains, a short walk west to the Rio Grande Gorge. The Solar Castle was custom built, then upgraded. 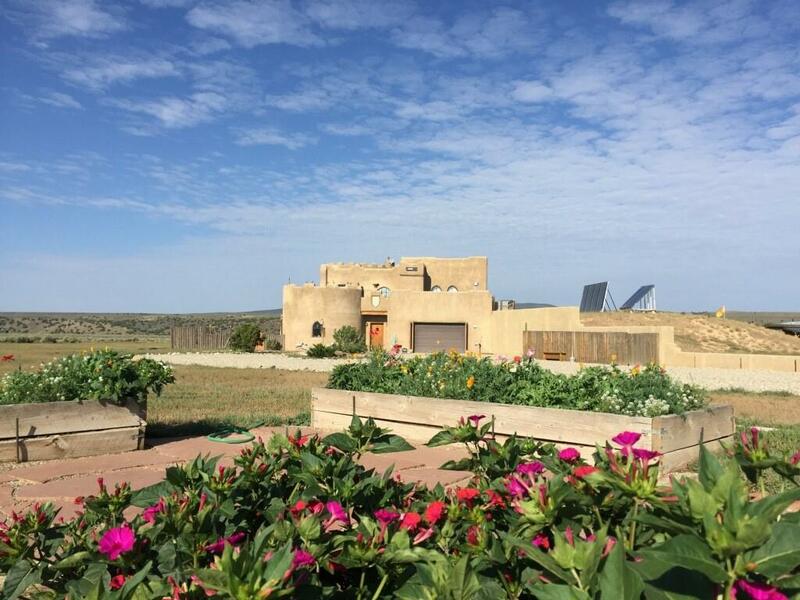 Double adobe construction, pueblo style home with beautiful handcrafted features throughout. Downstairs master suite has a beautiful bath with steam shower. Two large upstairs bedrooms offer panoramic views. Sun rooms up & downstairs, two fireplaces. Lovely outdoor spaces include a private courtyard with outdoor shower. 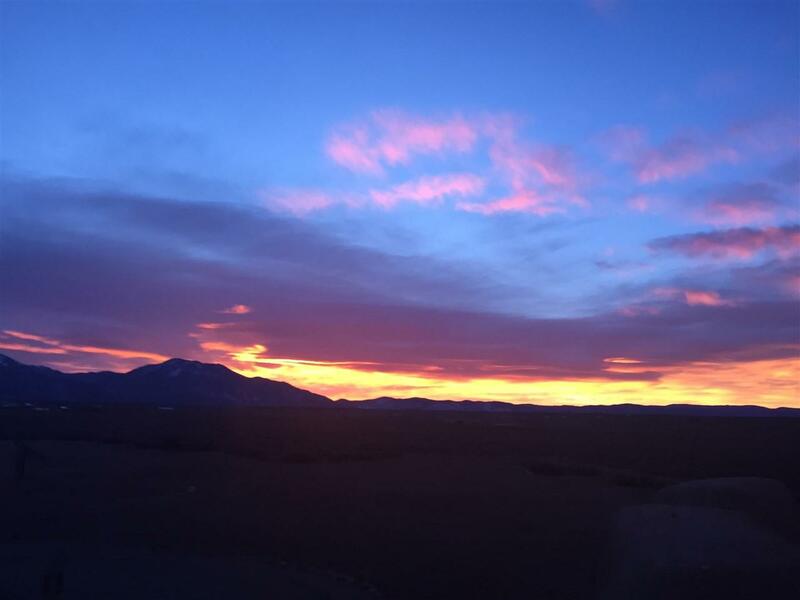 Enjoy spectacular sunrises & sunsets from the large second floor deck, which can be accessed via elevator from garage. Beautiful custom cabinets feature unique pierced tin panels. Custom tile in every room connected by arched doorways. The pride of the home a 20' rubber tree happily growing along the hall from kitchen to the family room. Wildlife abounds birds, rabbits, deer and occasionally rocky mountain bighorn sheep. 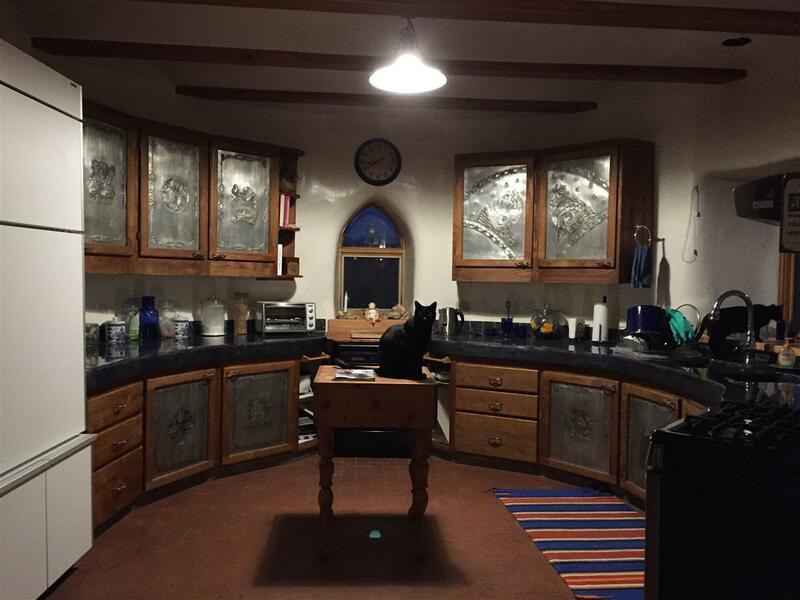 Excellent access, very private, only minutes from Taos & Taos Ski Valley. This is a true work of art! Call for a tour.